This post is sponsored by Citrix® GoToMeeting®. Attend your meetings from anywhere. Try GoToMeeting today for Free! From video conferences to mobile devices, there’s no doubt that technology can change and improve the way we work. It isn’t about “the future of work,” holograms or what will happen in 2040; several types of tools are already here that can help you become more efficient on a daily basis. According to a recent study, 60% of UK employees could be working remotely. What’s true for the UK also holds for the rest of the world; thanks to technology, millions of us will finally be able to forget daily commutes – and save time. As a matter of fact, many services can help you remain productive and connected to your work in the comfort of your home. Video conferencing tools mean that you may not even need to attend that morning meeting in person, and once you are set up as a remote employee, you can also access your files and desktop through a virtual private network (VPN) as if you were in the office. As you may have noticed during business trips, Internet access is becoming so ubiquitous than you may even be able to work on the go – not only from your laptop, but also from a mobile device such as your smartphone or tablet. More generally, working at home doesn’t mean working alone, and private social networks let you communicate with your team in real-time. Private networks aren’t just about recreating the water-cooler environment, they’re an integral way to share goals, track milestones and make certain that each is accomplished on time. While these networks can help you stay focused, they should also improve communication with your colleagues. Even in an open, physical space, it’s sometimes difficult to know who is working on what and when. With these collaborative platforms, that information is now at hand. Being able to track the flow of information and knowing where employees are within any given project serves the overall goal of maintaining an accurate picture for management. Whether employees are working remotely or within an office, real-time feedback and the ability to accurately manage projects is paramount. In a virtual work environment, your manager knows what you are working on and can keep track of your progress. Once a task is completed, some platforms give them the opportunity to publicly praise your work. It can even look like a game, in which you get a badge or a reward every time you unlock an achievement, i.e. when you complete an important task. These tools rely on a deep understanding of what motivates us, and public praise can be a great way to make someone feel good about their job. Beyond the fun, these tools rely on a deep understanding of what motivates us – and public appraisal is certainly one of the best ways to make you feel good about your job. We also learned a great tip from the workplace expert Lynn Taylor. As Forbes reported, she recommends to save all the compliments you receive in one single folder – your “Kudos” folder. If you are having a bad day at work, you can browse it to boost your morale and remember that you are doing a good job. If you read these lines, chances are you own a pretty good smartphone, and maybe a tablet. If so, chances are you also use them at work. Analysts call this trend “BYOD”: Bring Your Own Device. Using your own device is convenient, and the fact that you are familiar with it can improve your efficiency. Yet these “dual purpose devices”, serving both work and personal use, represent a security risk for companies that may not take the right measures to protect their data and infrastructure. But tools are available to isolate your work environment on a dual-purpose device. Corporations know this, and a recent study showed that 78% of them now permit employees to use their personal devices for work-related activities, a number which is likely to grow over the coming months. Digital intelligence analyst Paul Papadimitriou recently published an article about the transformative impact of technologies on the workplace. One of his key points was that companies will soon operate in a peer-to-peer (P2P) capacity. Instead of a rigid hierarchy, different internal departments will be able to cooperate without intermediaries. This has always existed, Papadimitriou points out; when your computer is broken, you usually call the IT manager directly. The P2P workplace is nothing more than the continuation of this practice on a bigger scale. This can help companies become more efficient; not only because it saves time, but also because the information goes through less filters, which means the feedback it will get will be much more complete. It also gives employees the opportunity to work on crowdsourced projects to make the most of their skills. For instance, you and your colleagues could create an internal Wiki, where you can share knowledge and from which each of you can also learn. 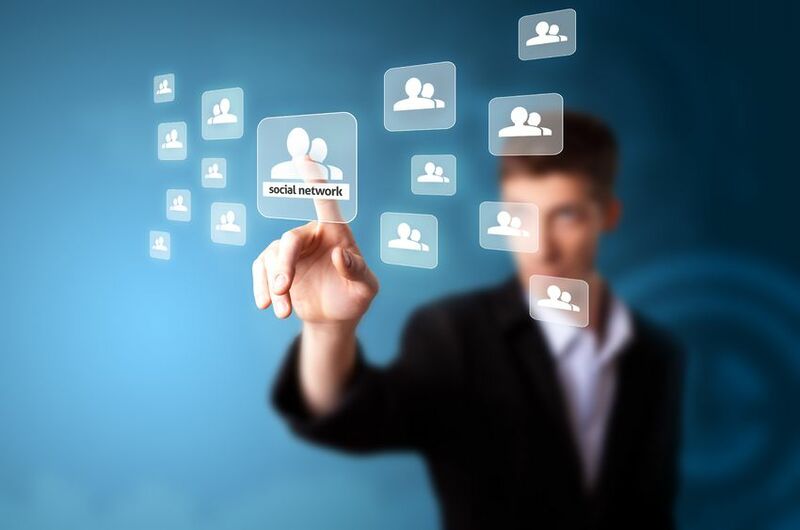 There are three types of companies when it comes to social networks; some forbid their employees to use social networking sites during work, others only tolerate this situation, and the third group embraces it. But under the right set of circumstances, perhaps there is an argument for becoming a social media ambassador during work hours. While social networks can often be a distraction and a time sink, they can also be a great resource if you use them correctly. For instance, you can engage with customers on Twitter and Facebook, while other platforms such as Quora and LinkedIn let you ask questions and find answers in real-time. If you enjoy your work and say so online, it is also great PR for your employer – for free. Besides customer acquisition, it could also contribute to attracting online-savvy talent. In other words, technology can create a mutually-beneficial situation for you and for your company; it can help you be more efficient and more connected, as long as you know how to use it properly. Read next: You’ve started a business, but is your brand protected?